CampaignTrackly is a fully automated campaign link builder and UTM tracking suite that automates the way marketing specialists generate tracking URLS. The solution helps accurately measure the campaign-level impact of social media, blogs, emails, or any other channel. The platform enables users to auto-generate UTM tags, shorten URLs, and view reports for critical insights on campaign stats. Marketers who design, create, and run campaigns online can instantly auto-tag a number of pre-set promotional channels and links using the UTM tag generator. CampaignTrackly’s automation features help eliminate manual and redundant work on long, error-prone URLs for improved accuracy of campaign tracking and reporting data. Users can use and re-use the solution's pre-saved examples within the UTM tags library, as well as integrate them with standard Google Analytics tags. Bulk tag operations allow the processing of multiple tags and URLs at a time, and all data can be exported for sharing and management. The platform’s Chrome extension allows users to build UTM tracking links right from within the browser, and tag anywhere on the web. Together, the web app and extension help streamline campaign performance monitoring, and automatically save all tracking work for future referencing and reporting. Marketers can integrate CampaignTrackly with their Bit.Ly account to get all tagged URLs shortened automatically, and in bulk. Connecting with Google Analytics allows users to see all campaign stats in simple graphs, while saving and storing all campaign history. As a social manager, I’m always looking for ways to be more efficient with my time. CampainTrackly has greatly improved my time management and traffic analysis by providing both consistent and accurate tracking. Incorporating this app has helped me with my client’s content promotions, ad optimization, and email link tracking. This is a must have tool when providing your clients with data driven results! The URL shortener with tracking helps tremendously. It's perfect for campaign management and provides you with link analytics. The URL shortener with tracking helps tremendously. 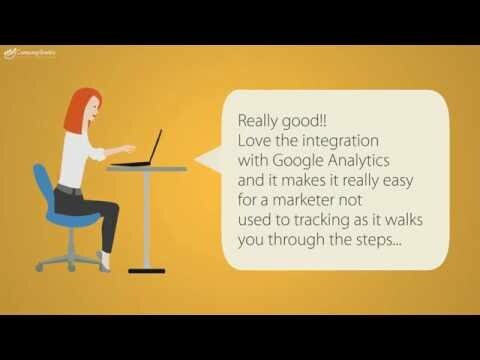 It's perfect for campaign management and provides you with link analytics. I haven't found anything that I would improve with this app at this time. CampaignTrackly enables users to build campaign tracking strategies and view reports with a single click. The solution's interactive wizard helps users create UTM tags, as well as shortens and exports all tracking URLs automatically. Users can use CampaignTrackly's bulk-processing to scale up ops, and store all campaigns and links for improved transparency and accountability. CampaignTrackly's UTM link builder extension allows marketers to use the URL builder on any page and tag anywhere on the web. Users can create, pre-save, and re-use custom tags, as well as integrate them with standard tags from Google Analytics. Below are some frequently asked questions for CampaignTrackly. Q. What type of pricing plans does CampaignTrackly offer? Q. Who are the typical users of CampaignTrackly? Q. What languages does CampaignTrackly support? Q. Does CampaignTrackly support mobile devices? Q. Does CampaignTrackly offer an API? No, CampaignTrackly does not have an API available. Q. What other apps does CampaignTrackly integrate with? Q. What level of support does CampaignTrackly offer?